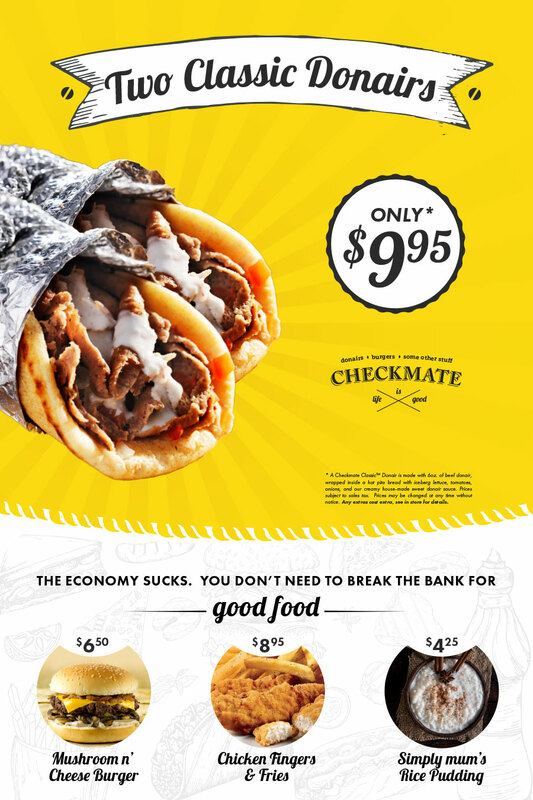 Located in the heart of Donair Country — Edmonton, Alberta — Checkmate Restaurant was in the midst of a bloody battle involving knives, skewers, and relentless competition, when they commissioned me to rejuvenate their brand presence. Their only request: make us stand out. 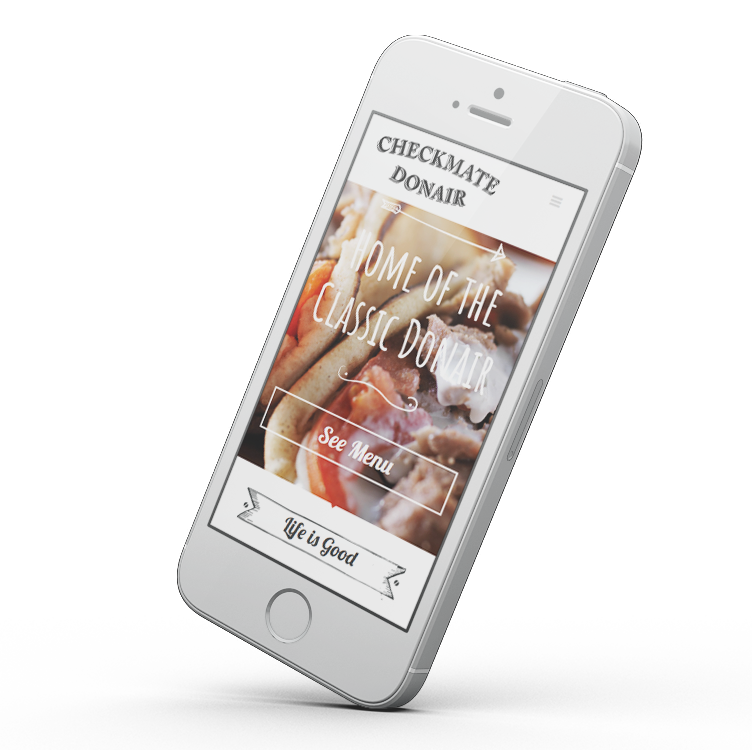 Generate more traffic through online media platforms and drive high margin sales in store. Produced a 300% increase in online brand engagement and a 20% increase in overall business profits. Web design, graphic design, local search engine optimization, and social media management. Have a project in mind just like this one? Schedule a call with me today and let's talk details. The campaign received an Award of Merit in Marketing, Advertising, & Brand Communication by the International Association of Business Communicators. The website was recognized by a Gold Award for the Consumer Website category by the Summit Awards for planning, design, and development. 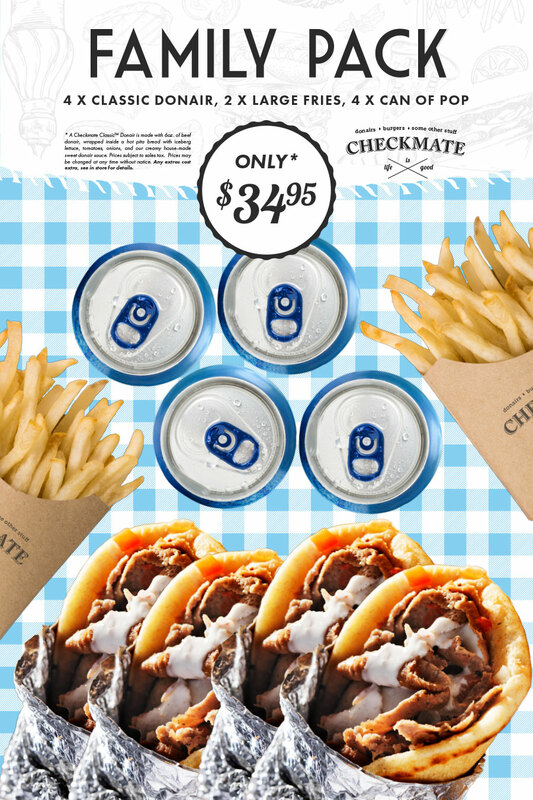 Great package and production value — a heck of a deal.